I am going to be super honest here... Halloween is probably my least favorite holiday! There, I said it! It has nothing to do with my religious beliefs or anything, I am simply just not a big fan. I LOVE the fall and I LOVE to decorate for fall... just not usually Halloween in particular. I love pretty, sparkly, happy decorations, not morbid, bloody and creepy ones. Of course, like any other self-respecting parent, I love to see my children enjoying themselves so we always dress up and trick or treat, but I typically don't put up any "Halloween specific" decor. 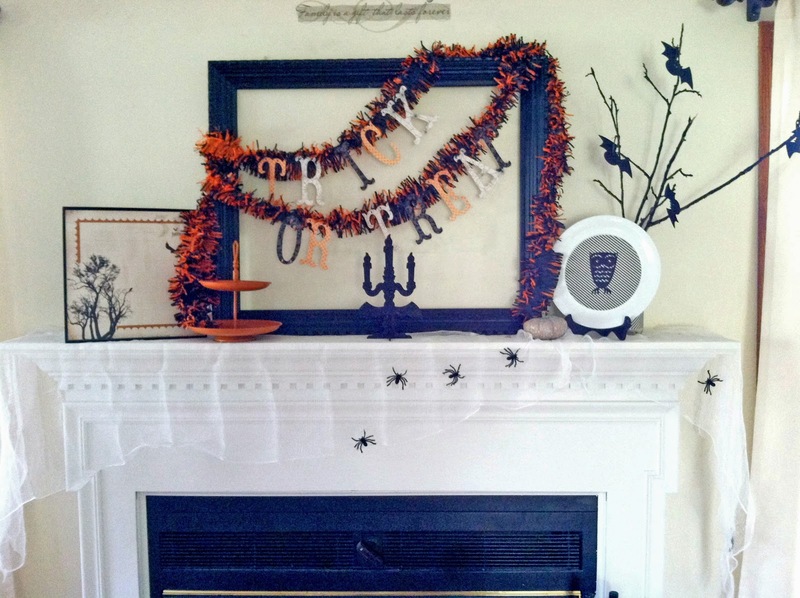 For the past few years, the kiddos have been pleading with me to put up Halloween decorations, so I finally gave in... if you are a lover of Halloween, you will think this is lame, but this was my contribution to the holiday!